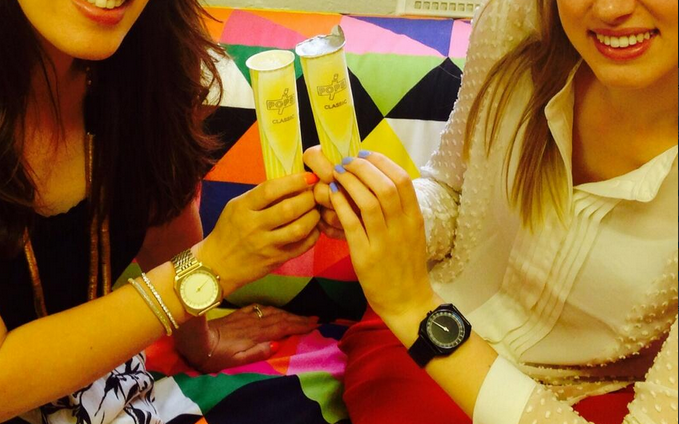 Last week we were fortunate enough to receive a special delivery of the very delicious champagne ice POPSicle to our GGPR office in Covent Garden. With temperatures at an all time high, we have already swapped our coffees for frappuccinos, but mid afternoon we are forever in search of something less milky. After trying POPS, we have certainly found our refreshment of choice. Each POP contains 37% alcohol- equivalent to a glass of champagne. We are also happy to know that POPS are manufactured in the UK using only natural ingredients and at less than 100 calories- it’s guilt free!